If you have ever taken a trip to the store to get a replacement HVAC air filter, you already know about the hundreds of choices that are available. And when you do not know what to look for, selecting the right one can be overwhelming. To make it easier, we have broken the process down into three easy steps. Knowing the size of your air filter is step number one. Contrary to most people’s belief, HVAC air filters are not one-size-fits-all. For reference, look at your old air filter. There may be a size printed on the side of it. Or, if all else fails, you can take the filter into the store with you to compare it to the new filters. Once you know the size of your replacement air filter, you will need to understand MERV ratings. Air filters are rated on a scale known as MERV (minimum efficiency reporting value.) The higher the MERV, the more efficient the filter is at removing small airborne particles. You want an HVAC air filter that is efficient enough to improve your home’s indoor air quality by removing many of your indoor air contaminants but that does not restrict airflow to your heating and air conditioning system. 1-4 – These are your cheapest and most inefficient air filters. 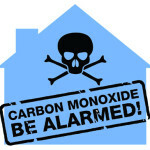 They will remove large particles that can damage your system, but will not do much to improve your home’s air quality. These usually need to be replaced about once a month. 5-8 – Air filters with a MERV of 5-8 are more efficient and last longer. They will protect your home’s air conditioning and heating system while also removing some smaller particles. 9-12 – Filters in this range are the ideal solution for most Northern California homeowners. They offer the best mix of air quality improvement and price and do not restrict airflow too much. 13+ – Filters with MERV ratings higher than 12 can be used for residential use, however, the higher MERV rating filters need to be changed more frequently. 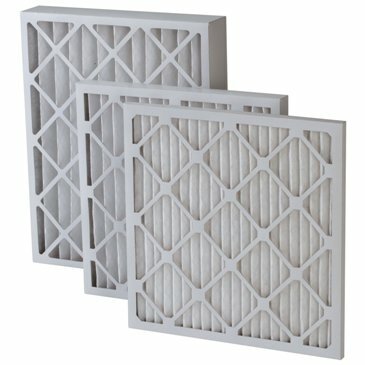 These filters are often used in commercial applications where air quality is extremely important (hospitals, clean rooms, etc.). Even after understanding the size and MERV air filter you are looking for, there may still be several options to choose from. 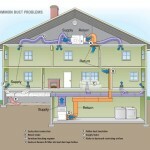 Home HVAC air filters are broken down into several main categories. Here are a few of the most popular and the differences between them. Panel – These air filters come in a variety of materials, but the most common one is your everyday fiberglass air filter. They are usually 1-2 inches in thickness and disposable. They are cheap but must be replaced frequently and rarely have a high MERV. Pleated – Pleated filters come in the normal thickness of 1-2 inches, but can also be deep-pleated (5-6 inches deep.) The construction of pleated filters gives them more surface area than other types of filters, which means they are more efficient at removing indoor air pollutants and last longer before needing to be changed. Electrostatic – The unique feature of electrostatic filters is that they are made of fibers that become electromagnetically charged so that they attract even the smallest indoor air particles. They come in disposable and permanent variations. Permanent electrostatic air filters must be regularly cleaned to maintain effectiveness. And that is all there is to it. Next time you go to the store for a replacement HVAC air filter, you will not feel overwhelmed because you will know exactly what to look for. Still have a question? Ask our expert. 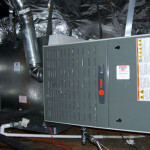 Service Champions is the premier air conditioning, heating and air quality company in Northern California. We serve San Jose, Sacramento, East Bay and the surrounding areas. Could These 5 Common Duct Problems Be Affecting Your Home Comfort?